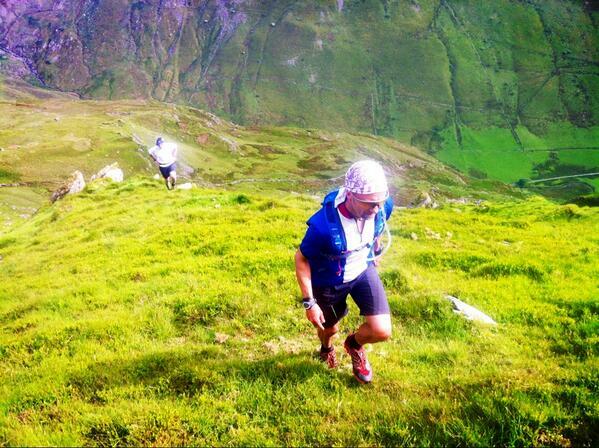 the thrill of a race, the sights and sounds of the countryside, the raw beauty of remote and hostile places. But every once in a while something stands out, a moment above all others that inspires me and makes all the effort worthwhile. There had been nothing special about the night so far. We had left Llanberis at 1.30 in the morning, two of us supporting our mate on his Paddy Buckley Round, and trudging up through the quarries I was already thinking it was bad idea. The promise of a pleasant night had faded as the earlier stars had disappeared behind thick cloud, and a cold wind was making it difficult to stay warm. On the slopes of Elidir Fach we entered cloud, reducing the visibility and making navigation even more difficult; it was going to be a long, tough night. 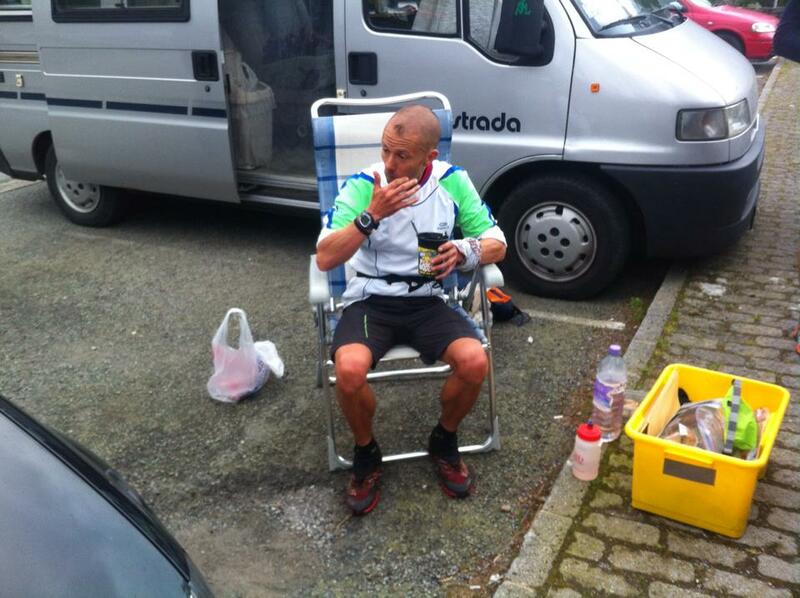 I was tired, had a cold, should have been tucked up in bed not out in the Welsh mountains! It was dark, properly dark, no moon behind the clouds, no faint outline of the mountains against the sky. My world consisted of the the map and compass in my hands, the pool of light cast by my headtorch and the two lights of my companions just behind me. Dawn crept upon us almost imperceptibly. Descending Foel Goch the ink black sky began to lighten to the east but the worst wasn’t yet over as on the slow, silent trudge up Y Garn the cold wind increased. 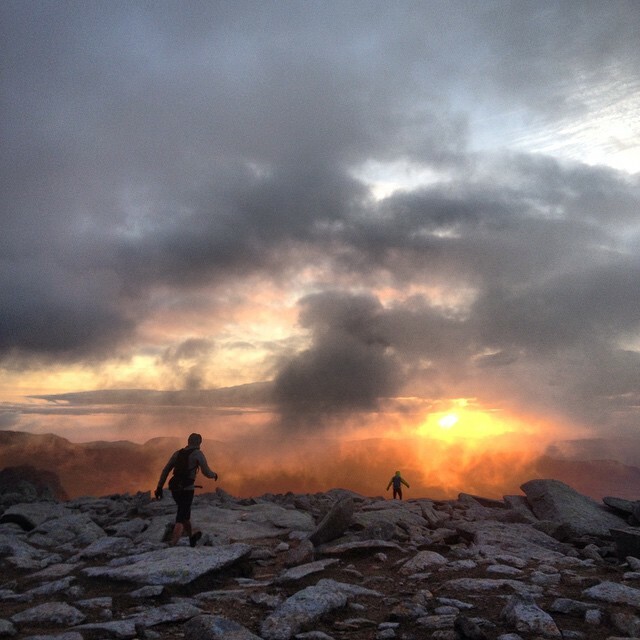 In the strange half light we turned our torches off and battled with the loose, scree ascent of the Glyders. The world was grey. There was no promise of colour, no inkling of what was to come, the monochrome, barren landscape of the Glyders mirroring the dull stratocumulus above. Then it happened. The low clouds lifted for a moment and directly ahead, leading us onward the sun appeared in a blaze of gold. I paused for a few brief seconds to savour the moment, to reap the reward for the cold and tiredness of the previous night. I drank in the sight; the harsh, eerie landscape around me, the contrast of grey and gold, the surreal shapes silhouetted against the rising sun. I knew that what I was experiencing was precious. That moment of harsh beauty whilst the country slept was even more special because it was so fleeting. It was too cold to linger and we had more running to do, more mountains to climb. 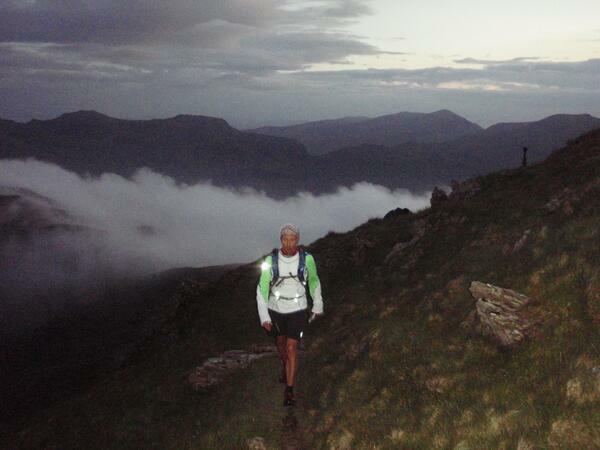 The Paddy Buckley Round covers 61 miles and ascends around 28,000ft as it crosses 47 peaks of North Wales. 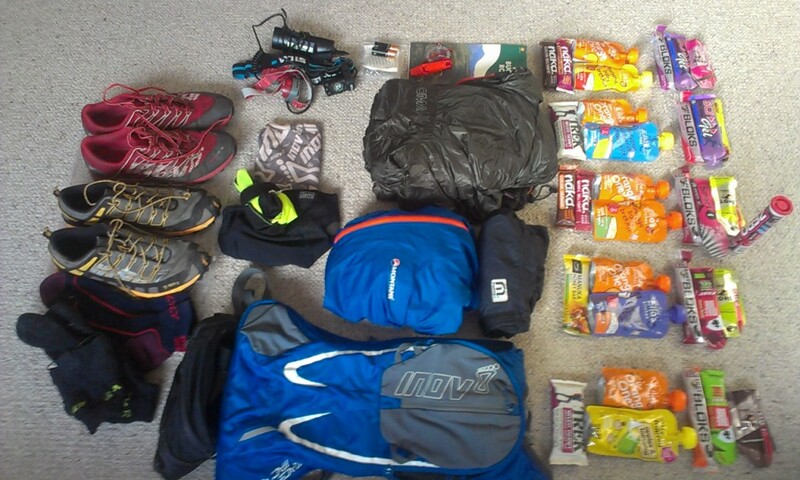 As well as the obvious investment of time spent training to get fit for the challenge it also requires a large amount of planning in terms of route choice, (it can be started anywhere unlike the Bob Graham Round which always begins in Keswick) equipment, food and support crew. The Paddy Buckley can be broken into 5 main legs, each finishing at road crossings where support can be accessed. 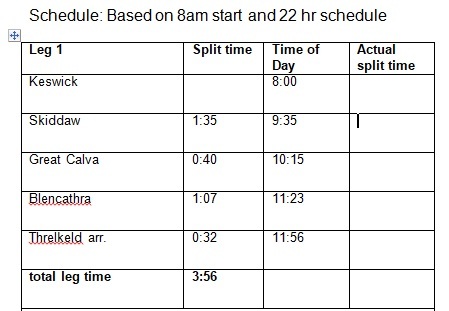 I chose to run on a 23.30 hr schedule starting at 11am from Capel Curig, the idea being to get the longest and arguably most complex navigation leg over whilst I was fresh. 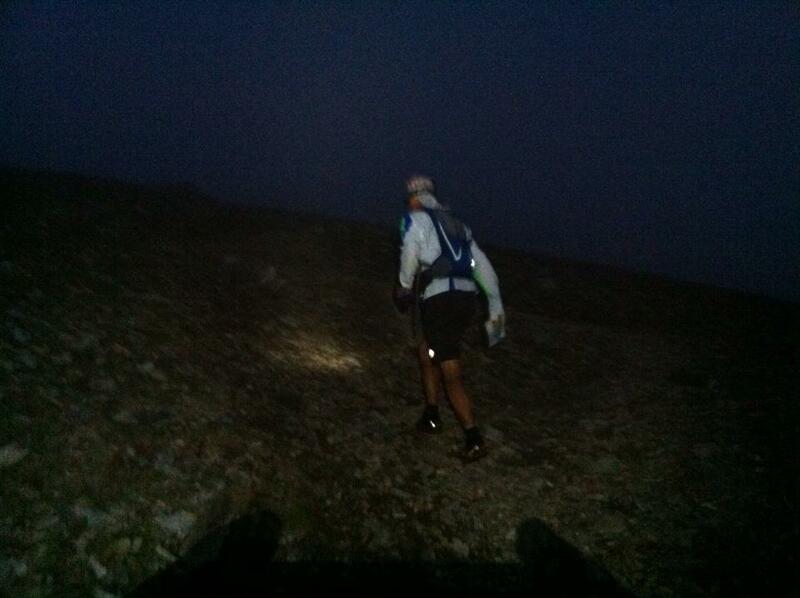 The 11am start meant that if I was on schedule I would be into the Snowdon leg as it went dark and would see dawn as I approached the Glyders. 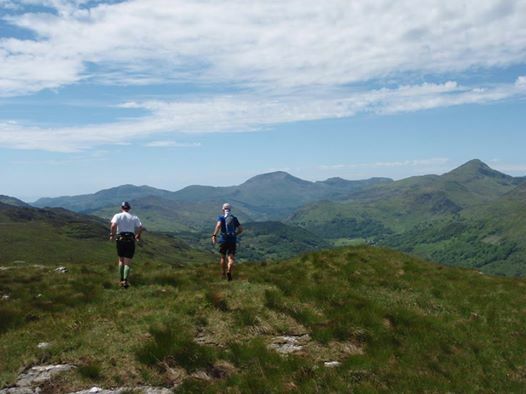 Getting to know the route is important and so I made a number of visits to Wales paying particular attention to the section between Moel Siabod and the Moelwyns which features a number of knolls that have to be visited. 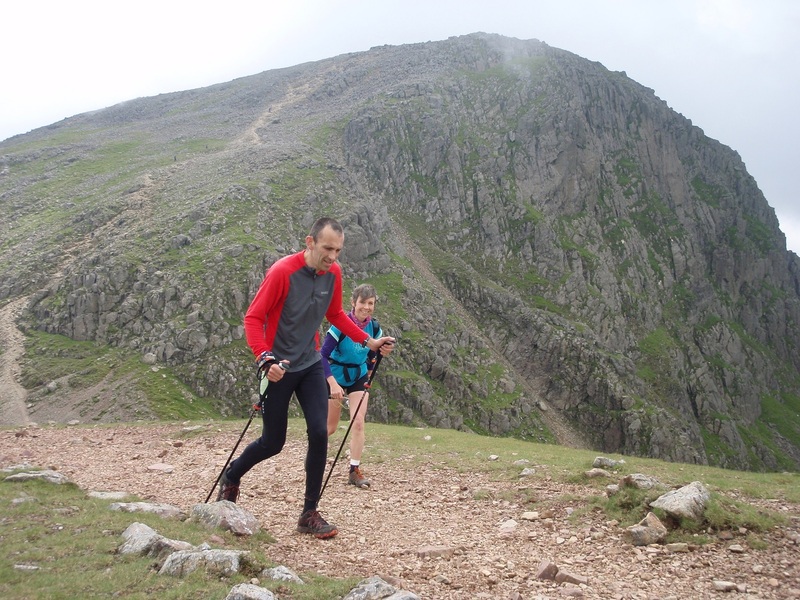 This part of the route is also particularly boggy and knowing the least wet line can save time and energy. I also carefully reccied the Elidir’s section including the line to Mynydd Perfedd as I knew I would be running this in the dark. I also chose to have support at the old quarries at Croesor where friends would walk in with more water and a little food. do I really need all this? One thing I found really difficult was deciding what kit to take: bottle or bladder? bumbag or back-pack? waterproof or windproof or both? The weather is obviously an important factor and so with a hot, dry forecast I opted for an Inov-8 race pac4 with a 1 litre bladder that I would refill at the end of each leg. 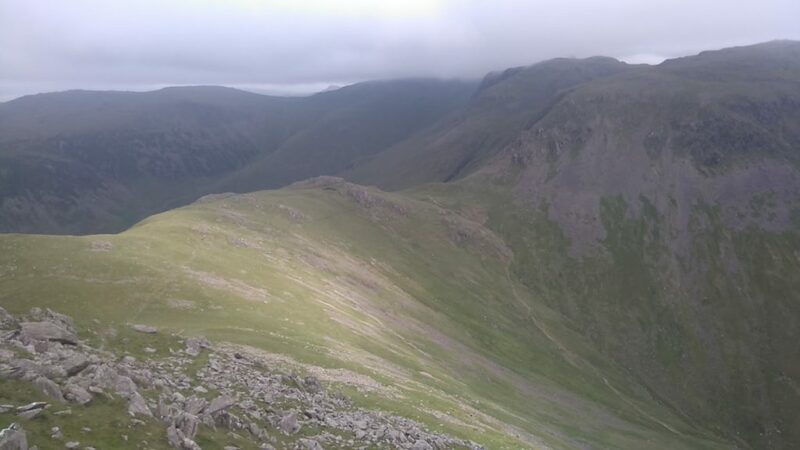 I carried a Montane Minimus waterproof smock and Featherlite windproof bottoms. I also had a dry bag containing my emergency kit consisting of OMM Rotor Smock, hat and gloves plus spare torch batteries, plasters, bog roll and paracetamol (thankfully the bag remained unopened!). 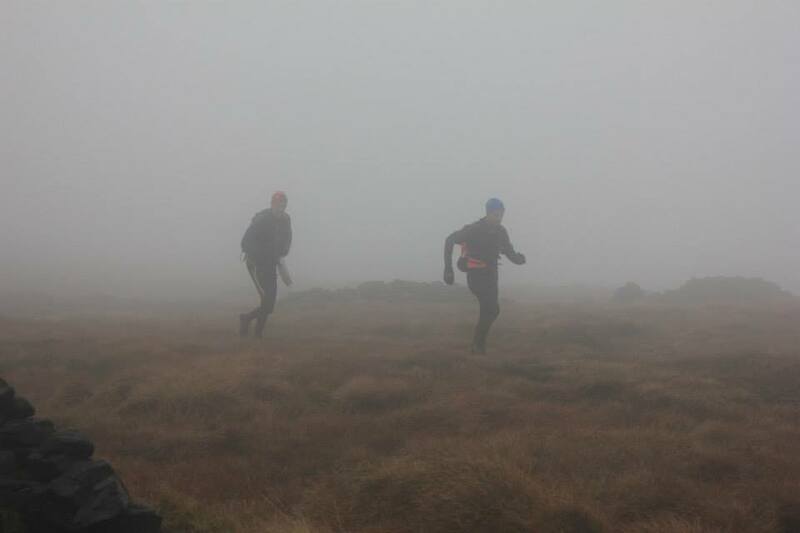 For the last couple of legs I swapped the sack for a small Inov-8 bumbag. I wore a light coloured buff for sun protection rather than warmth and a new pair of wool socks. 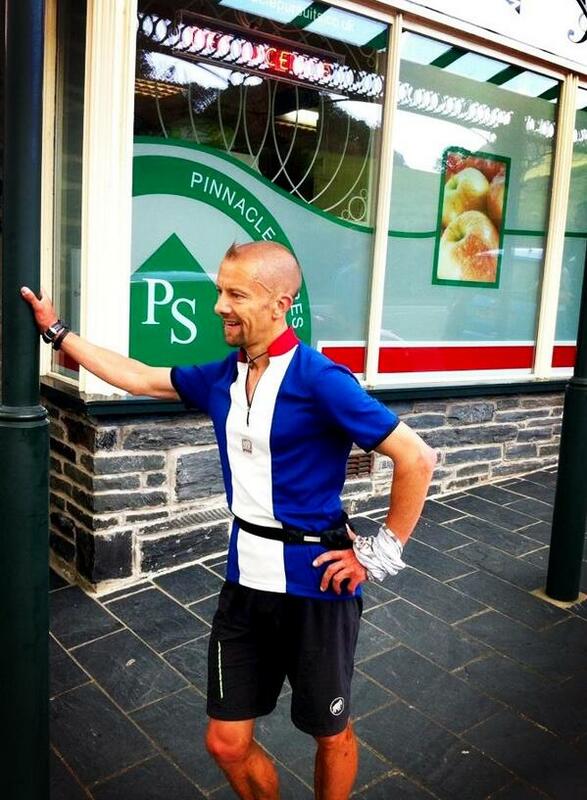 Shorts were Mammut MTR 141 whilst my top was a short sleeved cycling shirt which I use for longer distances as the rear pockets allow easy access to gels, map compass etc. I also carried a long sleeved top to put on if it got cold (I put this on at the start of the night leg). For footwear I chose my trusty Inov-8 Roclite 285 shoes and had a pair of Inov-8 X Talon 212 in the support vehicle as back up just in case. The leg over the Glyders has a couple of sections of loose scree so at the start of this leg I changed socks, putting on Inov-8 debris socks. These worked well, it’s just a shame that the leg starts by crossing wet ground to the comfort of dry socks only lasted a few minutes! For the night legs I used a Silva Cross Trail II kindly loaned by Matt at Lumenator. I used the torch on medium power with just a couple of bursts on full power for route spotting. The 3xAA batteries in the external pack easily lasted the 5 or so hours of darkness. 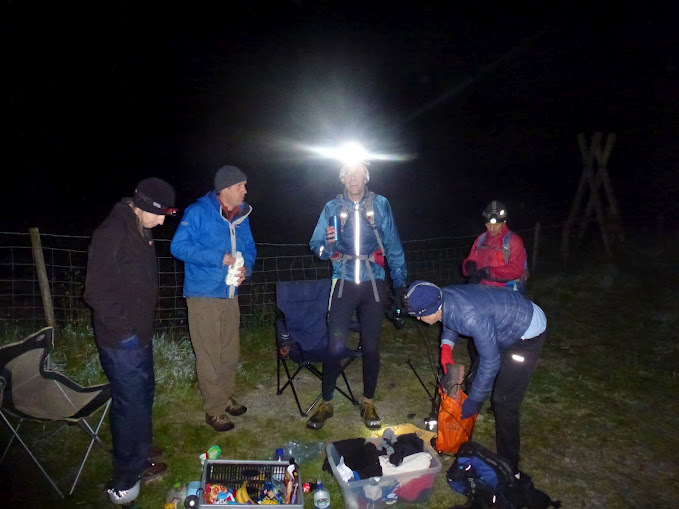 I also wore an Alpkit Gamma torch around my waist, angled down to shine just in front of me. I find this helps maintain some depth perception and was really useful over the rocky ground after Crib y Ddysgyl and on Elidir Fawr. I made laminated maps of each leg with split times and any important route notes annotated on to them. I used the Paddy Buckley 1:40,000 for general planning but used a 1:25,000 scale on the actual day (for me particularly important for trying to map read at night or with rain on the map). I was pretty clear about the food that I would eat whilst running: a mix of gels (SIS and Mule), Clif Shot Bloks, baby food pouches (Ella’s kitchen) and Nakd bars. This was washed down with High 5 Zero electrolyte. What I wasn’t so sure of was what to eat at the support points. I managed a couple of bananas but also knew I would want something savoury to counteract the sweet stuff so I opted for tuna sandwiches, boiled potatoes with salt & butter, Bombay Bad Boy spicy pot noodle and spicy rice crackers. I also had a few cups of licorice tea. I found the sandwiches were a mistake, I simply couldn’t chew the bread and ended up just eating the tuna. The potatoes were fine and the pot noodles were brilliant with the hot sauce being really welcome after hours of sweet tasting food. I decanted the tea into a bottle to take with me and swigged it with the rice crackers as it cooled. 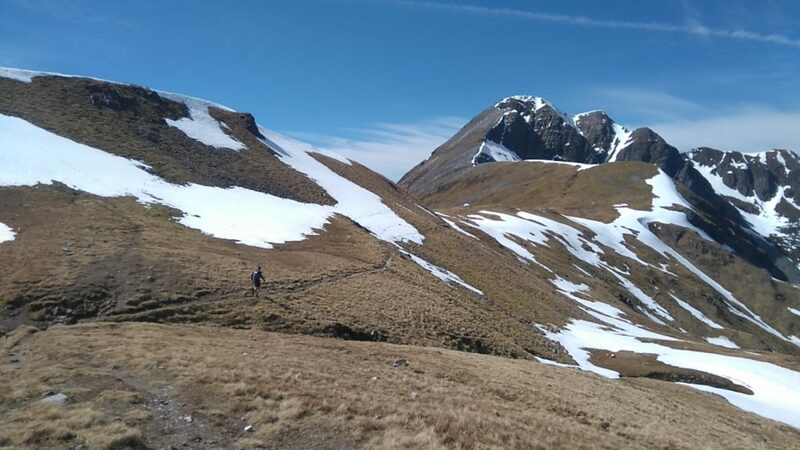 The weather on the day was hot and sunny giving the advantage of excellent visibility but adding to the risk of dehydration and hyperthermia. 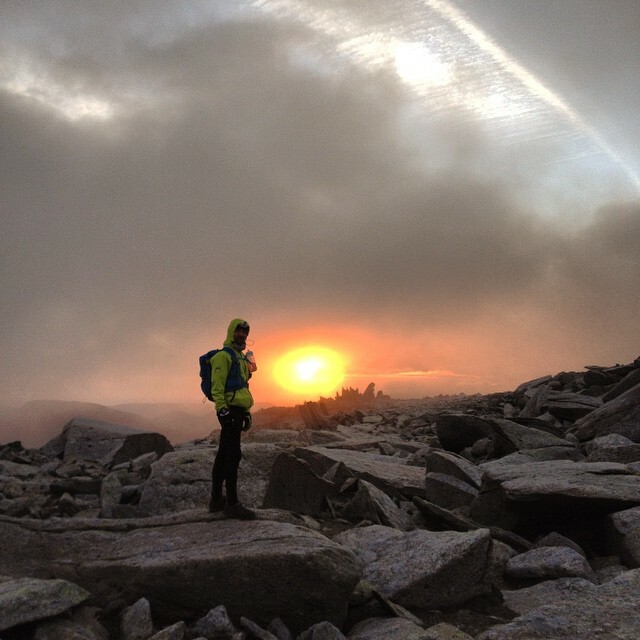 The night leg was partly cloudy with a little hill fog over the Glyders at dawn but on the whole giving no problems with navigation. Even overnight the temperature was mild and the sky never seemed to get fully dark, the distant hills always a faint silhouette. I made one glaring error coming off the Glyders and descending the wrong gulley which cost me half an hour and a lot of stress! Apologies to my supporter Mike who was even more stressed – an introduction to down climbing wasn’t on the agenda when he agreed to help out! I also lost time on the last leg, coming off the very last hill where I lost the path and ended up in deep heather, not having reccied this section. I completed the round in 23.05, twenty five minutes up on schedule. Route finding on a recce when you are fresh is totally different to doing so when you’ve been on the go for 18 hours. Don’t assume you know it. Recce as much as you can and in different weather conditions. The only section I hadn’t checked properly cost me time. Stay hydrated. Using a bladder meant that I drank little and often which seemed to work, particularly in the heat of the day. I chose an electrolyte drink rather than electro / carb mix and this seemed to work fine. Keep eating, even if you’re not hungry. Towards the end of the run I used Clif Shot Bloks in the side of my mouth, letting them dissolve rather than having to chew and swallow. 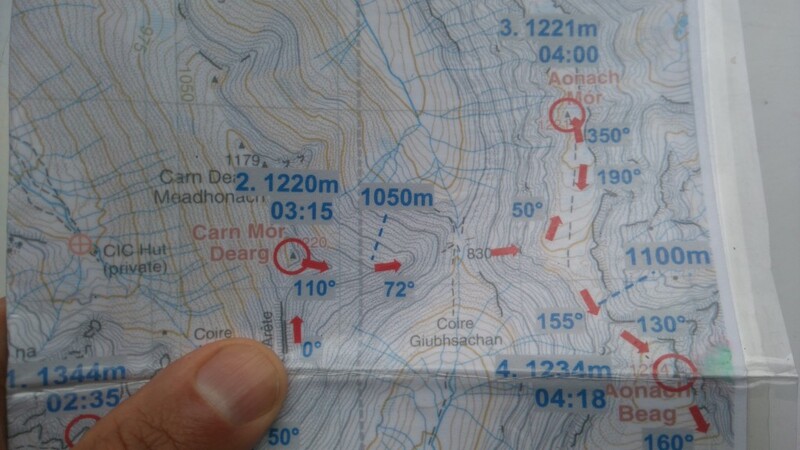 Take a spare map: mine fell out of my pocket on leg 1 but thankfully we had a spare. I had a great time on the round, helped mainly by excellent (if a little too hot) weather conditions. It would not have been possible without the support of friends so thanks to Ian L, Tim, Ian F, Jules, Mike, Neil, and particularly Lynn and Darrell who drove lots of miles and met me at every support point. Thanks to Ian F, Mike and Tim for the photos.